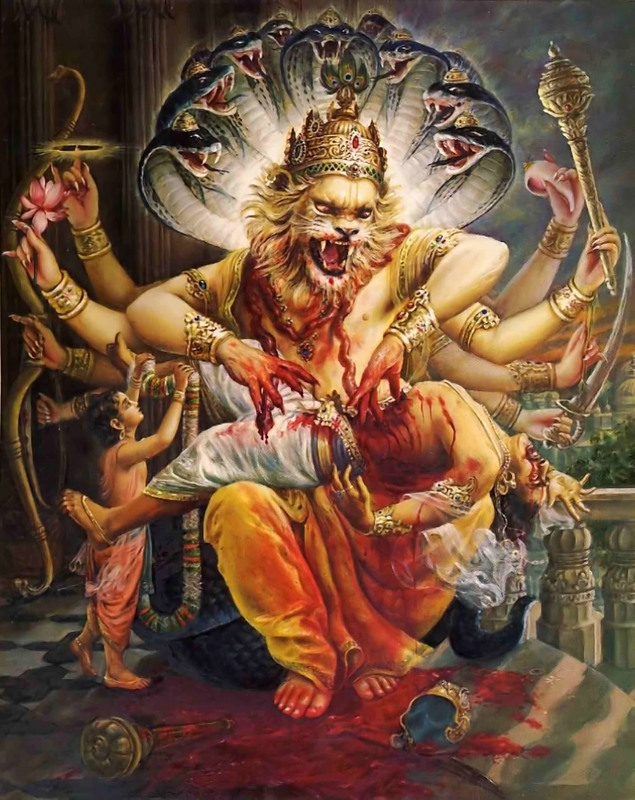 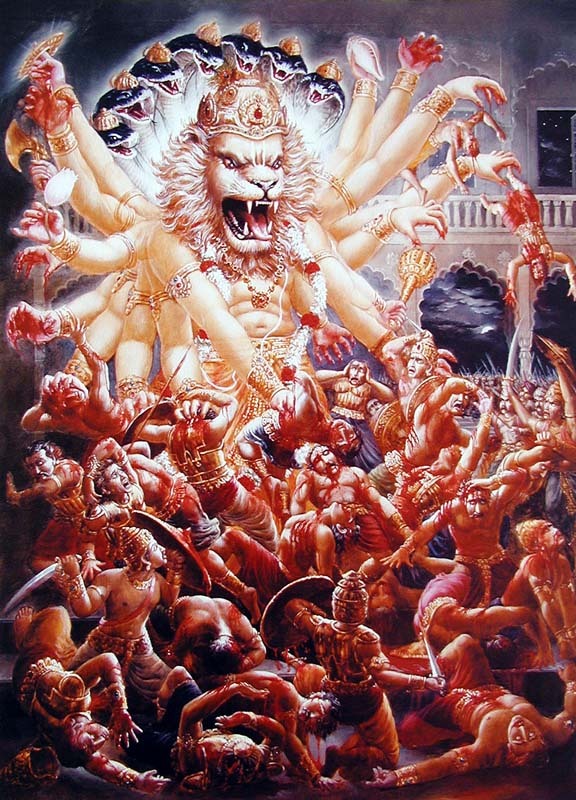 In honnor of the Appearance of Lord Nṛsiṁhadeva, we are posting the entire Eighth Chapter from the Seventh Canto of the Srimad Bhagavatam, entitled “Lord Nṛsiṁhadeva Slays the King of the Demons”. 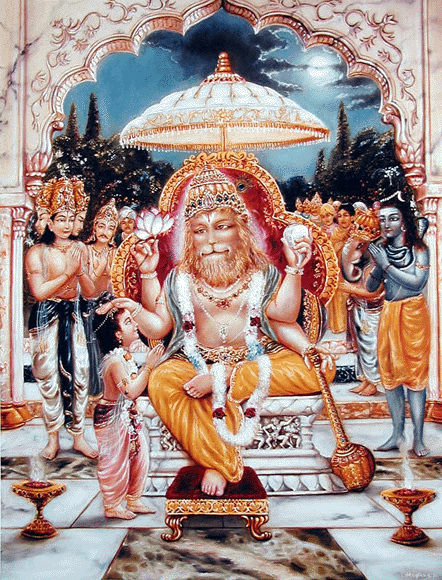 We are celebrating Lord Nrsimhadeva’s today, with a fast till dusk, because it is the variant date for our area. 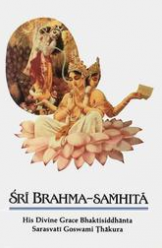 This is a wonderful chapter, and one I am fond of reading on this auspicious day.